For boys and girls aged between 8 and 10½ / 11 years old. Cubs meet together in a Cub Scout Pack and meetings might involve playing some games, working towards badges, learning skills for camping and other activities related to the cub scout programme. They have access to a wide range of activities including archery, canoeing, dinghy sailing, wall-climbing, Air Rifle shooting and camping (lots of camping!). Sweatshirt and activity trousers can be purchased locally at Get Branded Workwear or online at Scout Shops, One Stop Scouting, Glasgow Scout Shop and ScoutGuide Store. Cub Scouts can achieve a large and varied range of challenge & activity badges that cater for every taste, skill and capability. 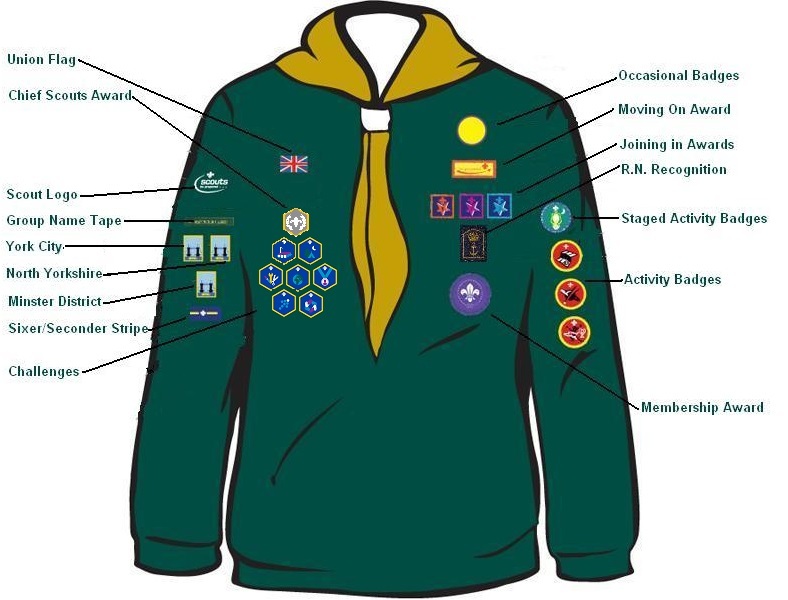 There are also core badges for joining or moving on from the Pack, or for time spent in the Scouting movement. Check out our Badges page for more details. The progressive training scheme leads to the Chief Scout’s Silver Award in this section. Scouting is a charity and all our leaders and helpers are unpaid volunteers. However, we do need to charge subscriptions to cover the cost of running the group but we keep these as low as we possibly can. Details of current rates can be found here. We also charge a one-off fee payable when the Cub is formally invested into the Group (unless moving up from Beavers). This helps to cover the cost of the necker and woggle provided and any badges earned throughout your child’s time in the Group. Our group is well attended and sometimes there will be a waiting list. 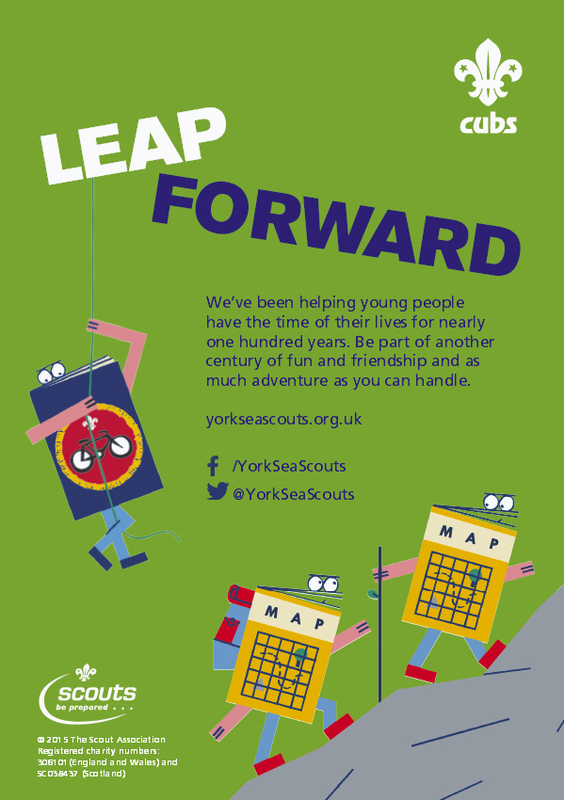 To make an enquiry about places, please email our membership coordinator at join@yorkseascouts.org.uk. More membership information can be found on our Join Us page.